Yapahuwa was one of the short-lived capitals of medieval Sri Lanka in the later part of the 13th Century. The citadel of Yapahuwa lying midway between Kurunagala and Anuradhapura was built around a huge granite rock rising quickly almost a hundred meters above the surrounding lowlands. This is also built on a huge, 90 meter high rock boulder in the style of the Sigiriya rock fortress The Pandyans of South India invaded Sri Lanka once again, and succeeded in capturing Sacred Tooth Relic. Following its capture, Yapahuwa was largely abandoned and inhabited by Buddhist monks and religious ascetics. On top of the rock are the remains of a stupa, a Bodhi tree enclosure, and a rock shelter/cave used by Buddhist monks, indicating that earlier this site was used as a Buddhist monastery, like many boulders and hills in the area. Minneriya Tank (built in 3rd century AD by King Mahasena). During the dry season (June to September), this tank is an incredible place to observe the elephants who come to bathe and graze on the grasses as well as the huge flocks of birds (cormorants and painted storks to name but a few) that come to fish in the shallow waters. Early morning and late evening are the optimum observation times of the day for resident and migratory birds. Flock of about 2000 little cormorant (Phalacrocorax niger) diving in the waters of Minneriya reservoir is not a rare scene. Sri Lanka is blessed with beautiful beaches around the country. Stilts fisherman in the south of Sri Lanka fishing. Nalanda is situated one km to the east of the A9 route 20km north of Alu vihara. Nalanda Gedige is one of a number of remarkable archaeological sites in Sri Lanka. Gedige is an image house - is strongly recommended, because it exhibits a composite style of architecture unique in Sri Lanka, and an extraordinary fusion of Hinduism and Buddhism. To cap it all, this remarkable shrine occupies an extremely picturesque. The small building is designed like a Hindu temple with a mandapa, an entrance hall (originally roofed), a short passage to a bare cello, and an ambulatory round the holy center. There is no sign of Hindu gods, however, and the temple is said to have been used by Buddhists. This is one of the earliest buildings of stone constructed in Ceylon. The richly decorated facade sections, laboriously reassembled in 1975, are predominantly in the South Indian style, and may have originated in the eighth to 11th centuries. . It is possible that Nalanda Gedige was a bold attempt at a fusion of Tamil and Sinhalese cultures. Negombo is located approximately 37 km north of commercial capital Colombo in Sri Lanka. It is located at the mouth of the Negombo lagoon. The major beach resort in the West Coast is Negombo. The wide sandy beaches and the safe sea are the major attractions of Negombo and it is perfectly located within the 7 km from the Bandaranaike International Airport in Sri Lanka. Negombo has a majority of Roman Catholics along with Buddhists, Hindus and Muslims. Negombo has been given the name "Little Rome" due to the highly ornate Portuguese-era Roman Catholic churches found within the township. Negombo is the Old Dutch Fort, which was built in 1672. Negombo Lagoon has an area of 3164 hectares and is situated some 40 km north of Colombo. 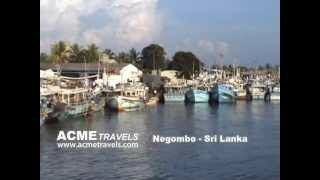 Negombo has a small port, and its economy is mainly based on tourism and its centuries-old fishing industry. 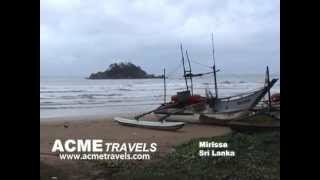 Negombo is a traditional fishing town of Sri Lanka the main industry of the villagers is fishing. Fine sandy beaches of Negombo has been mostly unexplored but less crowded as most tourists use the town for the first or the last night of their stay in Sri Lanka. Fine beach stretches are superbly maintained by the hotels while some are always busy with fisherman and their equipment. Equipment for water sports such as diving, wind surfing are available at most hotels and private vendors. 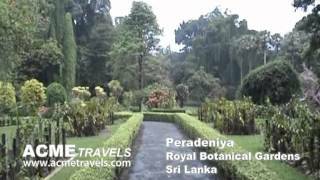 Peradeniya Royal Botanical Gardens of Peradeniya, which is considered to be one of the most beautiful botanical gardens in Asia It is situated in a slope of the Mahaweli River. The total area of the botanical garden is 147 acres. The origins of the Botanic Gardens date as far back as 1371 by King Wickramabahu III. It is renowned for its collection of a variety of orchids. It includes varieties of orchids, spices, medicinal plants and palms trees. Attached to it is the National Herbarium. The classical Avenue of Palms is located in this Garden. One tree with a significant history is the Cannonball Tree planted by King George V of the United Kingdom and Queen Mary in 1901. The tree is bent with its fruits, which look like cannonballs. During the Second World War, the Botanical Garden was used by Lord Louis Mountbatten, the supreme commander of the allied forces in the South Asia, as the headquarters of the South East Asia Command. 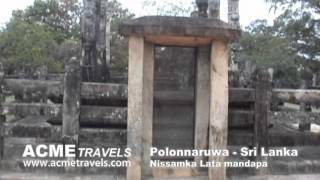 Polonnaruwa the second most ancient of Sri Lanka's kingdoms, Polonnaruwa was first declared the capital city by King Vijayabahu I, who defeated the Chola invaders in 1070 CE to reunite the country once more under a local leader. While Vijayabahu's victory and shifting of Kingdoms to the more strategic Polonnaruwa is considered significant, the real Polonnaruwa Hero of the history books is actually his grandson, Parakramabahu I. The city Polonnaruwa was also called as Jananathamangalam during the short Chola reign. However, with the exception of his immediate successor, Nissankamalla I, all other monarchs of Polonnaruwa, were slightly weak-willed and rather prone to picking fights within their own court. They also went on to form more intimiate matrimonial alliances with stronger South Indian Kingdoms, until these matrimonial links superseded the local royal lineage and gave rise to the Kalinga invasion by King Magha in 1214 and the eventual passing of power into the hands of a Pandyan King following the Arya Chakrawarthi invasion of Sri Lanka in 1284. The capital was then shifted to Dambadeniya. Today the ancient city of Polonnaruwa remains one of the best planned Archeological relic sites in the country, standing testimony to the discipline and greatness of the Kingdom's first rulers. 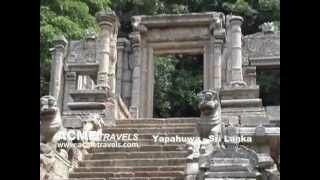 The ancient city of Polonnaruwa has been declared a World Heritage site by UNESCO. 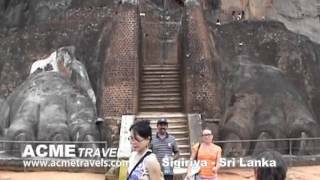 Sigiriya, considered by some as the eighth wonder of the world, consists of an ancient castle used by King Kasyapa of the 4th century AD. The Sigiriya site has the remains of an upper palace sited on the flat top of the rock, a mid-level terrace that includes the Lion Gate and the mirror wall with its frescoes, the lower palace that clings to the slopes below the rock, and the moats, walls and gardens that extend for some hundreds of meters out from the base of the rock. The site is both a palace and fortress. Sufficient remains to provide the visitor with a stunning insight into the ingenuity and creativity of its builders, the upper palace on the top of the rock includes cisterns cut into the rock that still retain water. The moats and walls that surround the lower palace are still exquisitely beautiful. 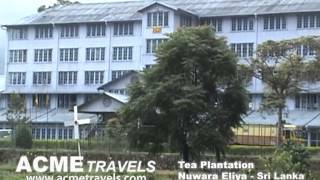 Nuwara Eliya hill capital of Sri Lanka in the Central Highlands in the heart of the Tea Country. Travel through tea estates and the misty hills of the Central Highlands. You will see tea estates, villages, and local people including tea leaf puckers on your epic journey. The steaming heat of the coast around Colombo gives way to the cooler climes of the hill country and you see a marked drop in temperature as cool mists engulf through tea estates and you see waterfalls, villages and even local people. You can also visit a tea plantation and witness the manufacture of the world famous Ceylon tea. 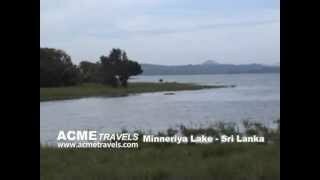 This route is one of the most beautiful routes of Sri Lanka. Situated at around 2000m above sea level and surrounded by lush tea plantations Nuwareliya the main hill resort of Sri Lanka.